A pair of seven-fingered skeletal claws offers up a mysterious orb. Cast in sterling silver and rhodium plated with a natural black Onyx stone centerpiece. 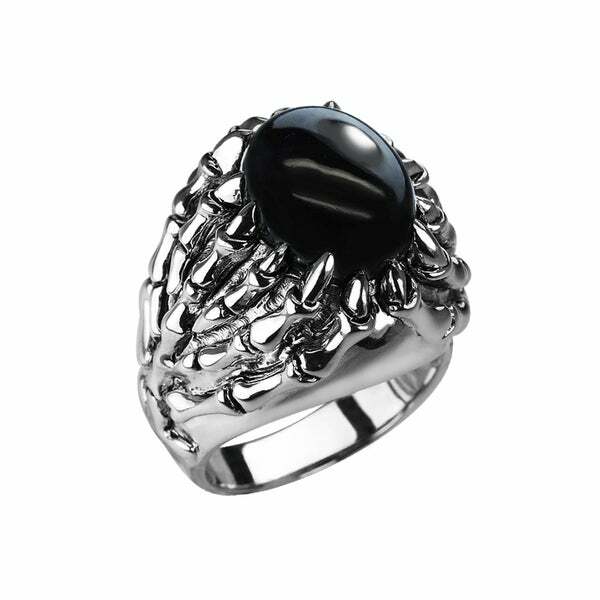 This ring makes a uniquely intimidating statement appropriate for daily wear for any gentleman. It’s a gift that a husband, brother, son, boyfriend will like and wear for many years. "Sterling Silver Skeletal Black Onyx Ring.I wear a size 8, does this ring comes in a size 8?" No, this is not available in size 8.